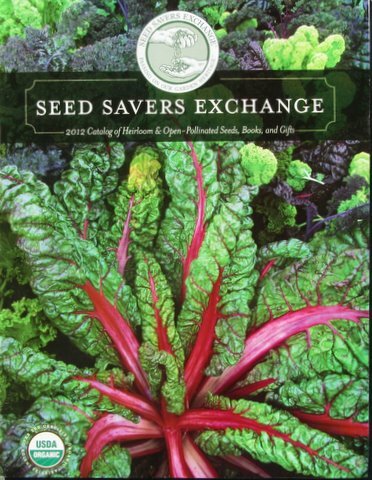 “Most beautiful” is the phrase that pops into my mind when I think about the Seed Savers Exchange catalog. Seed Savers Exchange is a non-profit organization with a mission—to save our diverse but endangered garden heritage by building a network of people committed to collecting, conserving, and sharing heirloom seeds and plants and educating people about the value of genetic and cultural diversity. Sales of seed packets help fund that mission. The Exchange sells the kind of open-pollinated or heirloom vegetable and flower varieties that our grandparents and great-grandparents planted and saved because the open-pollinated varieties grew with the same characteristics from year to year. Access to the Exchange’s catalog, both print and online editions, is free. You can also become a member (I am one) and receive an inch-thick Yearbook of thousands of open-pollinated seed varieties grown, saved, and made available by gardeners across North America. Every year the catalog features several new varieties. Two this year are White Vienna Kohlrabi, a pre-1860 variety, and Georgia Southern Collard, which dates to about 1880. Ok, maybe they are the kinds of vegetables your great-great-great grandparents grew. The vegetable section takes up nearly 70 of the catalog’s 100 pages and is followed by sections of heirloom herbs and flowers. Most veggie offerings take up two or three pages, but tomatoes have eight pages, from Amish Paste to Crnkovic Yugoslavian, from Green Sausage to Hillbilly Potato Leaf, and from Jaune Flamme to Speckled Roman and Wapsipinicon Peach. I think you should get an honorary B.H.G.H. (Bachelor of Horticulture in Garden History) if you read the seed descriptions. For example, the annotation for Red Fig tomato states, “Philadelphia heirloom documented to 1805. Heavy yields of 1½” pear-shaped fruits that are great for fresh eating. Used as a substitute for figs years ago by gardeners who would pack away crates of dried tomatoes for winter use.” Maybe that information will help you in a game of Trivial Pursuit some winter evening. Since the Exchange doesn’t sell hybrid seeds, I cannot compare most of the prices I’ve listed in other catalog reviews. The only one of the tomatoes available is Brandywine (Sudduth’s Strain) (50 seeds), $2.75. Postage/handling is $3.00 on purchases less than $10. If you wish to check out the online catalog, CLICK HERE. Two readers have sent personal catalog recommendations after reading my earlier catalog postings. “TankMan” recommended that readers interested in hot peppers should check out Pepper Joe’s website, which sells seeds for, among scores of other fiery varieties, the Ghost Pepper, also known as Bhut Jolokia or Naga, and at 970,000 Scoville Units (11 on Pepper Joe’s 10-point scale) is billed as the “hottest pepper in the word.” To check out Pepper Joe’s, CLICK HERE. Another reader recommended that anyone seriously interested in beans should check out the 11-page bean section of the Vermont Bean Seed Company catalog, which contains more than 40 additional pages covering other vegetables, herbs, fruits, and flowers. To check out Vermont Bean, CLICK HERE. Notes: (1) You can order a print catalog through most of the catalog websites. (2) Mention of specific products, brands, or companies is not intended as an endorsement by the University of Maryland. (3) I do not receive consideration of any kind for mentioning products, brands, or companies in my postings. 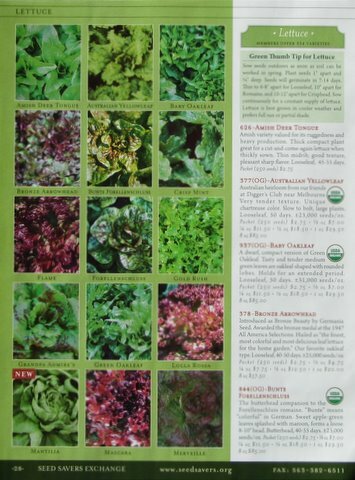 The seed catalogs I review are those of sellers from which I have previously bought seeds. I grow Early White Vienna and get the seeds from Meyer Seeds in Baltimore. You can find Meyer Seeds on the web and order a catalog. They carry most of the varieties recommended by U of Md. on its recommended seed list. Their prices are pretty good compared to a lot of the mail order companies.